Announcing 2017-2018 Creative Placemaking Project Grants! Home/Arts & Culture, Featured, Jade District, News & Events, Opportunities/Announcing 2017-2018 Creative Placemaking Project Grants! APANO and the Division Midway Alliance (DMA) are pleased to announce expanded creative placemaking grant opportunities for 2017-2018! Grants totaling $25,000 are available for the Jade-Midway Placemaking Projects and grants totaling $10,000 are available for the Division Street Bridge Reclamation Projects. Over the past three years, APANO and DMA have awarded $84,500 for 23 placemaking projects in the Jade (82nd and Division) and Midway (122nd and Division) Districts. In these diverse communities where over 70 languages are spoken, APANO and DMA are working together to support the creation of creative projects focused on anti-displacement, pedestrian safety, and community building. Creative placemaking projects build community resilience and are led by and for people who are connected to the neighborhood. 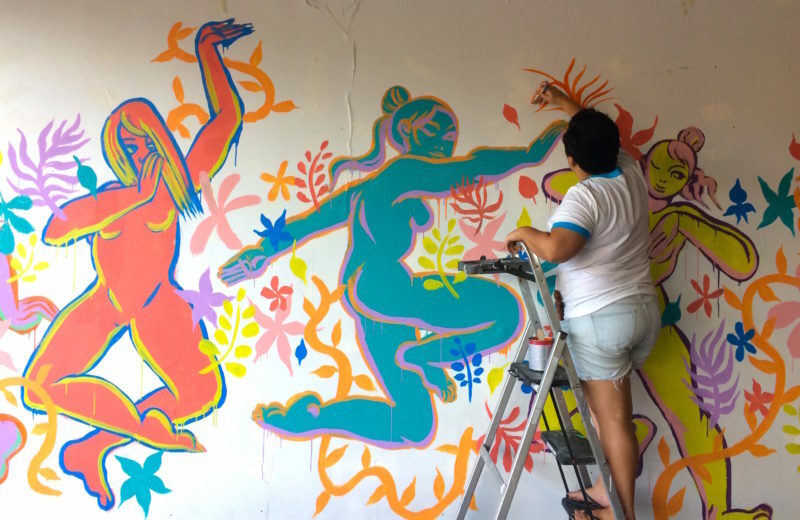 The Jade-Midway Placemaking Projects provide small grants to artists, cultural workers, and community members who lead creative, community-relevant projects in a variety of mediums. The Division Street Bridge Reclamation Projects will transform two pedestrian bridges at SE 85th and Division Street and SE 137th and Division Street with original murals, banners, and landscaping to remind pedestrians to make safer decisions in crossing the street and encourage drivers to slow down.